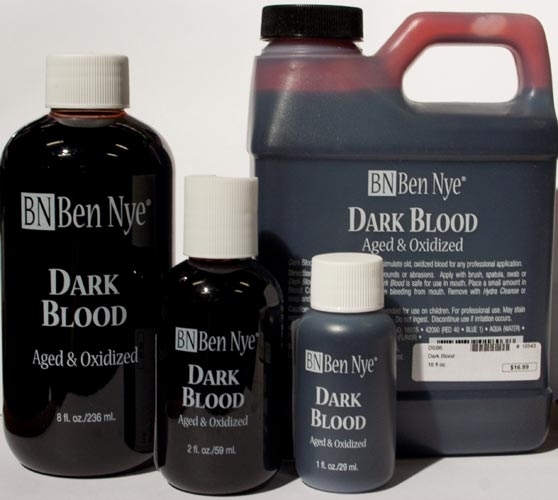 Ben Nye Dark Blood is aged and oxidized! 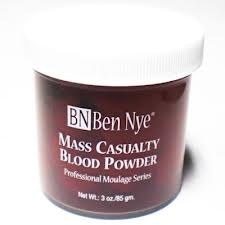 Combining the Coloration of Ben Nye’s Fresh Scab with the Liquid component of Ben Nye’s Stage Blood they have once again created a wonderful effect for characters, clothing, etc. 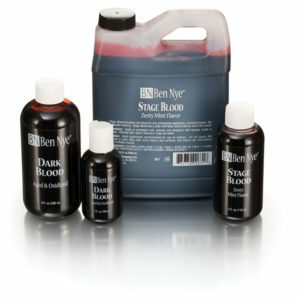 Dark Blood creates excitement and intense drama for old wounds. 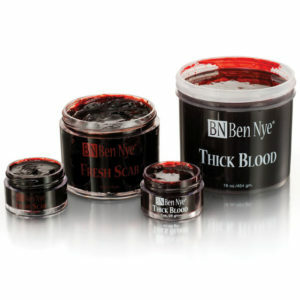 Realistic qualities include vivid dark coloring and medium flowing viscosity. Peppermint flavored and safe in mouth. 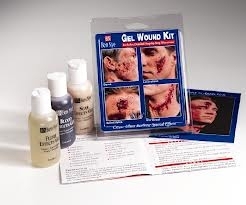 May stain some fabrics and surfaces; test before use. 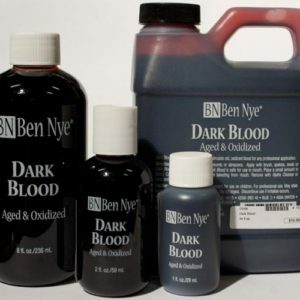 Darker than our popular arterial Stage Blood, but with the same minty flavor. Safe for use in the mouth. Expect 10-30 applications per ounce. .5 fl. oz., 1 fl. oz., 2 fl. oz., 8 fl. oz., 16 fl. oz., 32 fl. oz.